Beware of pet scams! Recently one of my candidate tin openers was contacted by a pet scammer shortly after having started her search for a Siberian cat. If you are asked to fill in a survey sent by a third party and not by me (or by another breeder you contacted directly), do not reply. 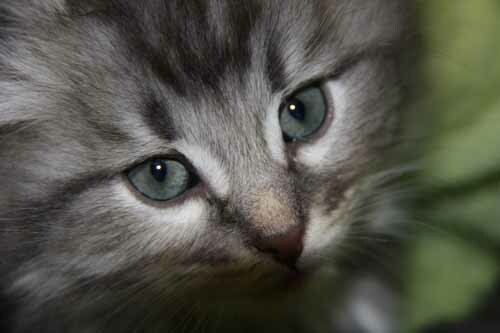 Be cautious about offers and adverts for kittens, be it Siberian kittens or other breeds, being extremely cheap. Same goes for kittens allegedly needing to be rehomed quickly and at no cost, just the shipping fee. Don't ever send money through Western Union, Money Gram, reload cards, etc. in order to have a kitten shipped to you. Anyway, Iz Nevasibirska cattery will never send you a survey, ask you money before you have even seen the kitten, etc. If I have any questions regarding your family situation, profession, etc. I will ask them during one of the mandatory visits to our cattery. I do not, I repeat not, hand over one of my kittens to people I have never met in person. Our kittens are brought into their new homes by me personnaly and are by no means shipped by lorry or airplane to your doorstep on their own. Adoption expenses are to be transferred into our bank account or paid cash when the kitten is brought into your home. In general: when in doubt, ask for a second opinion (several second opinions are even better :-) and look for some info on websites like scamwarners.com or ask a registered cat fanciers association.